JEFFERSON CITY - Forty years later, a lot has changed for members of the 1977 Jefferson City football team. They live in different places, their lives have taken different turns, but they all still remember every detail from that magical season. "We were able to achieve more as a team than we could have ever achieved individually," said former Jays' left guard and nose guard George Sitterley. "We were a team of people like me, this size," he said, pointing to himself, "and yet we won a state championship." That 1977 team completed a 13-0 season that culminated in a 20-11 win over Hazelwood Central to give Jefferson City a Class 4A state championship. Most of the players on that team, however, credit their success to their coach. "The biggest difference probably was a guy named Pete Adkins," said former Jays' quarterback Keith Wilson. "I don't know how many games we would have won without him." Adkins coached the Jays for 36 seasons from 1958 to 1993. The 1977 state title is just one of eight on the Missouri Sports Hall of Famer's resume. "Pete was a great leader and he set the example and in life, you look at leaders and mentors and he was one of those," said former Jefferson City linebacker Greg Allen. Now, years later, the players still make time to see each other at their annual golf outing at the Redfield Golf Club in Eugene. "These are great guys," Allen said. "They're great friends and if I had something that I needed in life, I could give them a call and they would be there in a second. We all love each other and respect each other. It's a great time." The city still remembers them too, and they will be honored at Friday's homecoming game against Battle. Sitterley said, "I still have relatives that live here and they keep saying, 'I saw your name in the program,' and I'm like, 'It's 40 years ago guys. Life goes on.' It's kind of cool but in a way it's kind of embarrassing." The '77 Jays have no reason to be embarrassed, though. 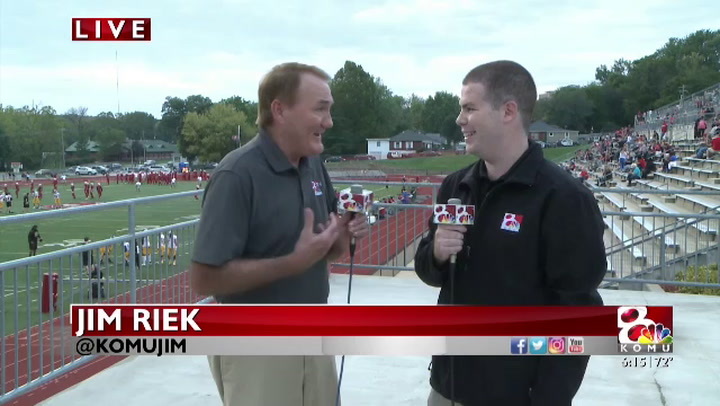 Forty years later, they remain an integral part of the storied history of Jefferson City football.